A lovely gift-set from Jack Daniel’s. 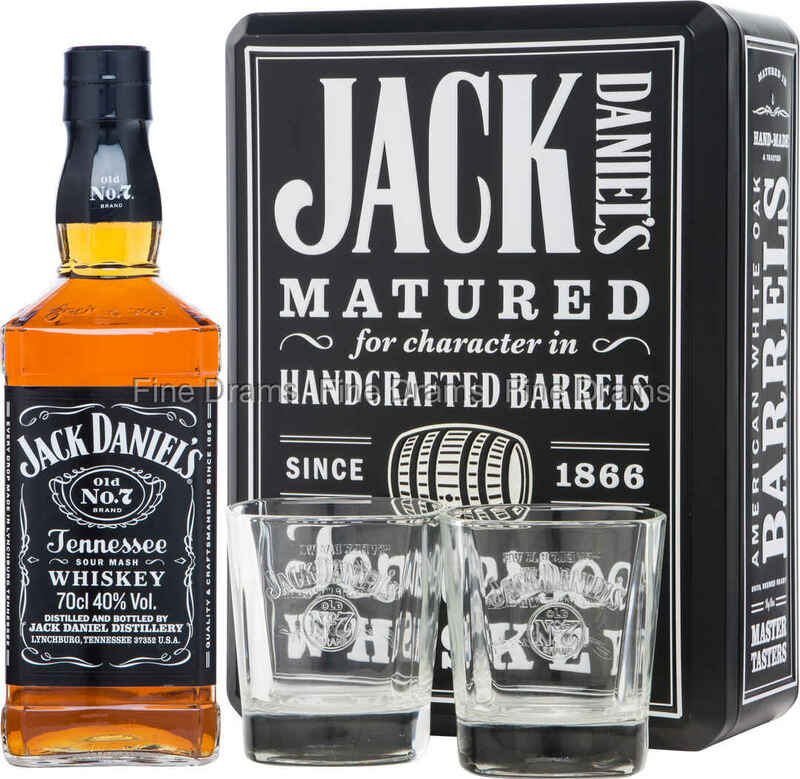 This pack sees Jack Daniel’s classic No.7 Tennessee whiskey packaged up with some branded glasses – perfect for sharing a drop with a close friend! The whiskey needs no introduction. A wonderful sweet, smooth and slightly smoky offering, it is famous the world over. Both the Old No.7 and branded glasses come packed in a wonderfully bold gift tin. Would make the ideal present for the whiskey lover in your life.